Tis’ the season for holiday vizzes and what better way to spread holiday cheer than to add a little Christmas flair to your dashboards? 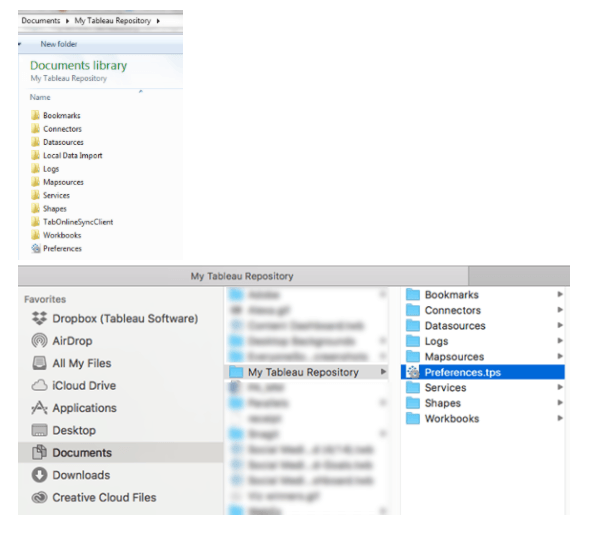 Tableau has some amazing opportunities for customization, including building custom color palettes and custom shapes. In this post, I’ll go over how to build a custom color palette along with some tips on how to enhance your viz with custom icons. Going beyond the default options for color can be done in two ways—using the built-in color dialog or adding custom color palettes. To make our viz consistently festive, let’s create a custom color palette. After getting inspiration from Christmas movies, HGTV, and my co-workers—I’ve finally found the perfect palette. You must name and describe your color palette. For more information, refer to the Help article. 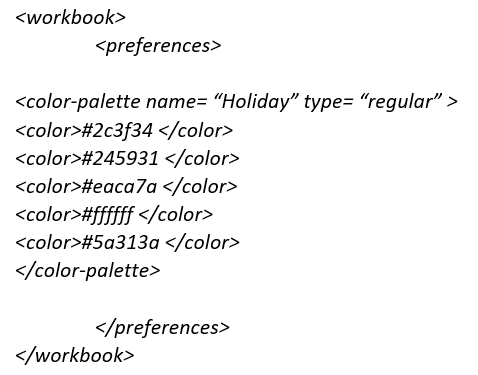 The colors themselves are put inside color tags and must be formatted as HTML hex values. Caption: This is a categorical palette of the colors above. HTML color codes: Browse by color, or generate hex codes for colors with a picker. 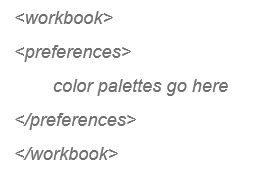 Also helps with creating palettes. When we talk about custom shapes in Tableau, we're referring to the shape of marks themselves. The Marks Card, if the mark type is set to Shape, has a Shape Shelf. Clicking the shelf or "More Shapes..." brings up shape palettes that you can leverage or customize. Tableau also supports some (but not all) unicode symbols. This can be a great way to get custom icons and/or shapes into text fields, as opposed to the shape of marks. Simply copy and paste the unicode symbol into the text in Tableau. Spark your creativity with The Hottest Christmas Songs by Sean Miller, 2017 Christmas Streaming Trends by Spotify, and December Holiday TV Lineup by Rody Zakovich. We can’t wait to see what you all create! Make sure to share a link to your own holiday viz or your favorite viz from the community in the comments below.